The modern design of this entertainment unit has many functions including audio and video, storage, and display area for artwork and accessories. We fabricated this unit with three species of wood; olive ash burl, tigerwood, and avonire. The glass shelves are lighted from behind and low voltage halogen lights illuminate the art. 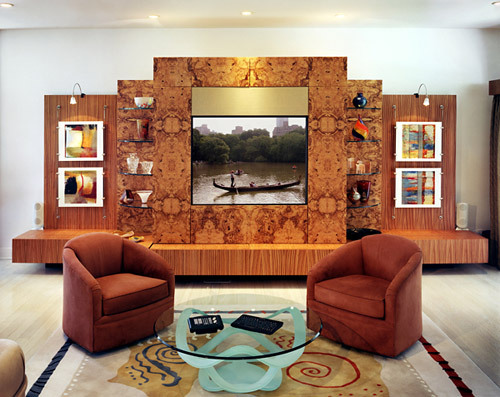 In this contemporary setting, the furniture becomes artwork.